We already named the Moto 360 (2nd Gen) the best Android Wear device you could buy in 2015, but it’s 2016 now, and Motorola has a new device for those who enjoy going for runs and hitting the gym. Recently released, the Moto 360 Sport has fitness on the mind, complete with a bunch of sensors to help collect data for all of your calorie and step tracking needs. 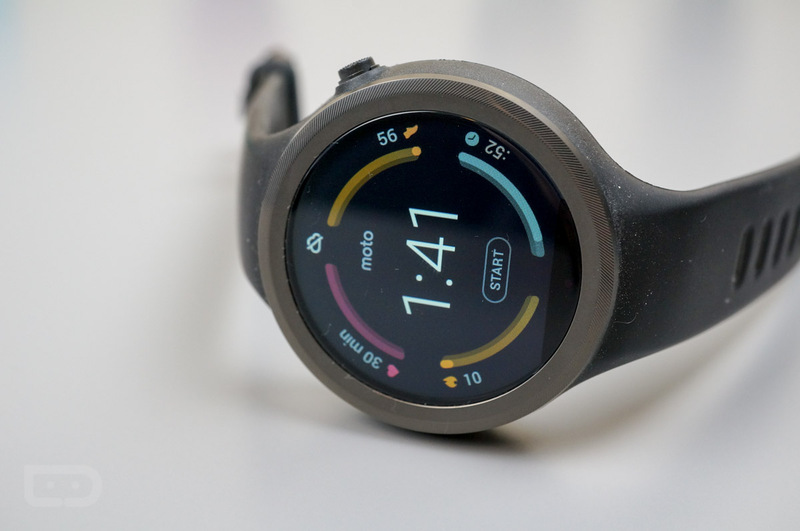 While Motorola has been somewhat dominating the Android Wear game with practically priced, fashion-friendly smartwatches, can the Moto 360 Sport, priced at $299, get folks who are interested in Fitbits and fancy step counters to dive all of the way into the world of Android Wear? This is our Moto 360 Sport review. 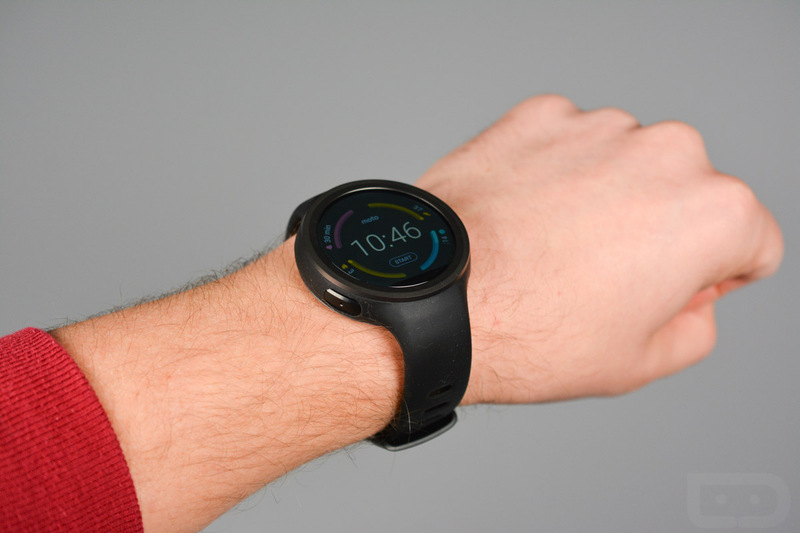 Speaking generally, I admire the look of the Moto 360 Sport. It’s simplistic, minimal, and straightforward. As a wearable focused heavily on fitness, the body feels very comfortable on the wrist, thanks to a very stretchy rubber watch band. 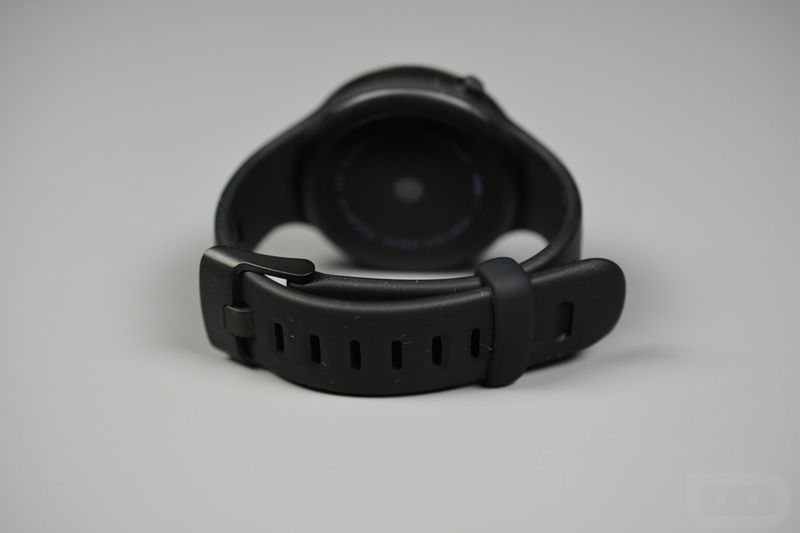 Since you will likely be doing a lot of moving with this thing, it’s good to know that there are not many pieces to it, and you can’t change the watch band whenever you want, so you don’t really have to worry about any piece of it breaking or snapping off during a heavy workout. To add a bit of flare, the bezel has been texturized, but it’s not too flashy, primarily drawing one’s eye to the large full-color display. We have the Black model of the device, instead of Flame or White, which draws even more attention to the display and not the strap. For those who don’t mind being walked up to and asked what you are wearing, I might recommend the Flame or White model more than the Black, as we come to my main serious gripe with this device – the straps are serious lint, hair, crap magnets. As you wear the watch, you will find that no matter what you do, the straps will attract all sorts of debris, whether it’s your dog/cat’s hair, material from your clothes, dead skin, or just general dust. After wearing the device for a few solid weeks, my unit seems littered with crap, and no matter how much I wipe it clean and try to rub it away, it seems that I can’t get it back to how it looked out of the box. For someone who likes clean things, this is an issue. With the watch all dirty, I don’t even want to show it off to someone, and as a lover of timepieces, hiding my dirty, lint-covered watch is not something I am proud of. In my opinion, Motorola needs to go back to the drawing board in terms of material and treatment process to get these straps picking up less dust and lint. To me, that would be necessary. On the other hand, I can appreciate someone’s argument, saying that a watch for workouts, the gym, and triathlons doesn’t need to be clean all of the time. That’s cool, but really, I don’t want my watch attracting dust and lint, that’s all. The Moto 360 Sport offers a wide range of feedback for those who will use this device as a tool during workouts. 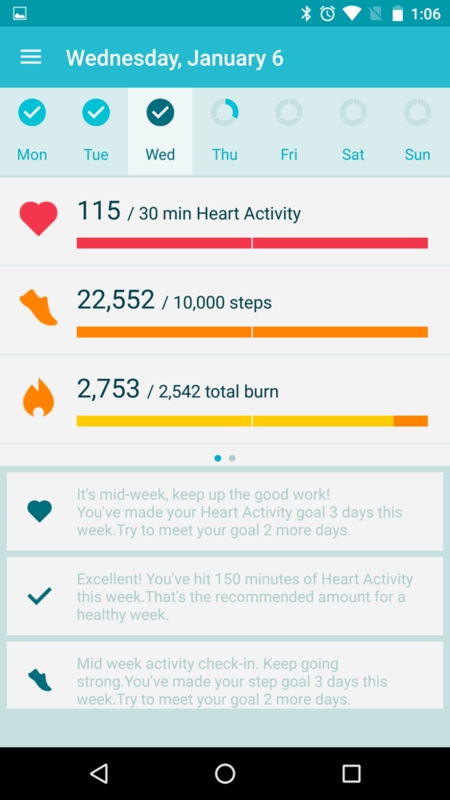 To start, Moto created a custom watch face that displays calories burned, steps walked, heart activity, and stopwatch. From here, you can press “Start” directly on the watch face, which leads to a quick start for any run you are about to take. 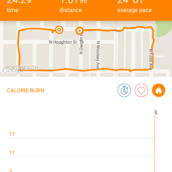 As for the actual software, inside of Moto Body, you can check your current pace, workout duration, and distance traveled. 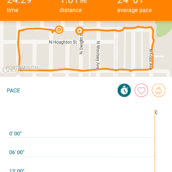 Users can activate Motorola’s 5-zone data tracker, which allows for easier time tracking of warm-ups and the best calorie burning times. 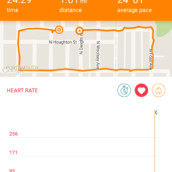 Once your run has complete, Moto Body delivers a summary that includes duration, distance traveled, average pace, best pace, average heart BPM, max BPM, calories burned, calories burned per minute, and how you performed during each zone of the 5-stage process. 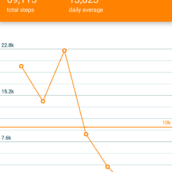 Once you have used the watch for a few days to a week, you can ask the software to analyze the data. 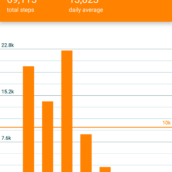 All of this data can be tracked either on the watch, or on the Moto Body app through your smartphone. The watch also creates its own goals for you, such as steps walked. 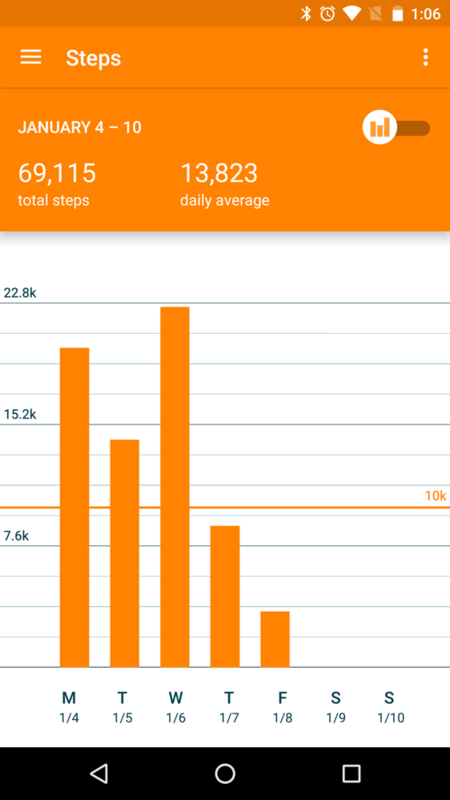 At this time, I cannot find a place to change this, so it’s always set to 10,000 steps in a day. To me, it seems that you should be able to customize these goals, like you can with other systems. 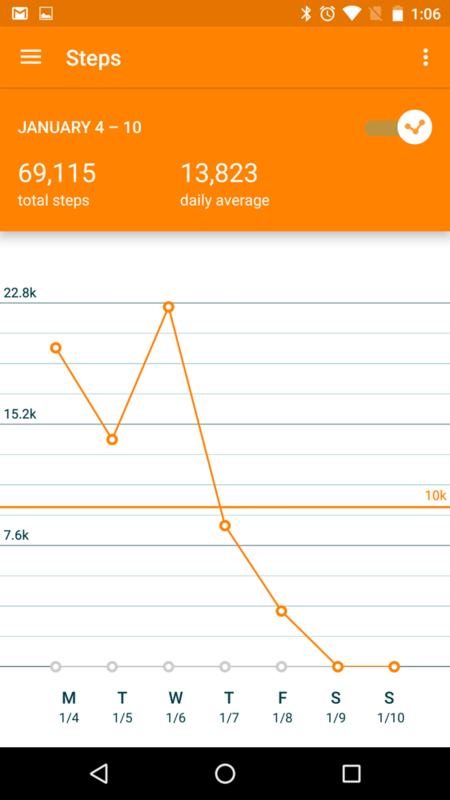 For me, who is somewhat active, I could crush 15,000 steps in a day, and I would rather have my goal set to that, so I don’t have to keep an eye on the tracker once I’ve surpassed Moto’s own goal. 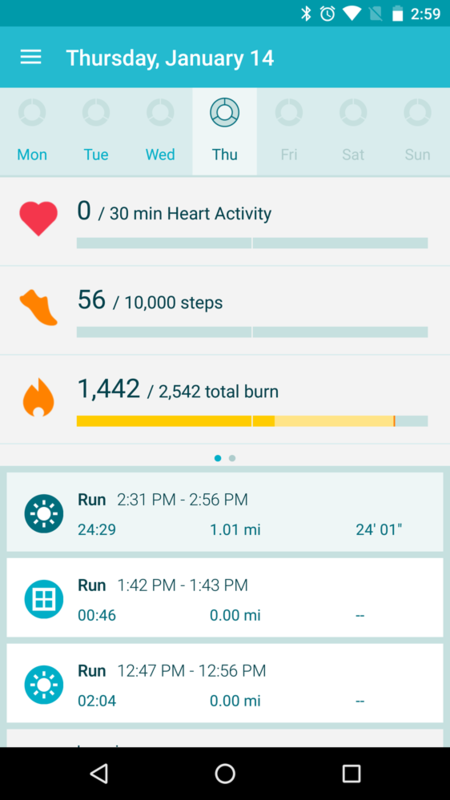 If folks are looking for a more comprehensive look into what apps are available for runners and workout enthusiasts on Android Wear, you don’t have to go far. 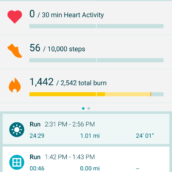 On Google Play, apps are available from Runkeeper, Runtastic, HealthTap, and countless others. 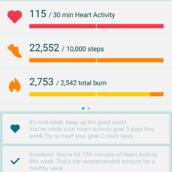 As Android Wear becomes more mature, we will likely see a massive influx of apps available for the platform, from many different fitness companies. 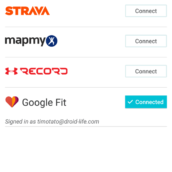 One last note that I appreciated, is the ability to share the data to accumulate to other applications, such as Fitbit, Under Armour, and Strava. 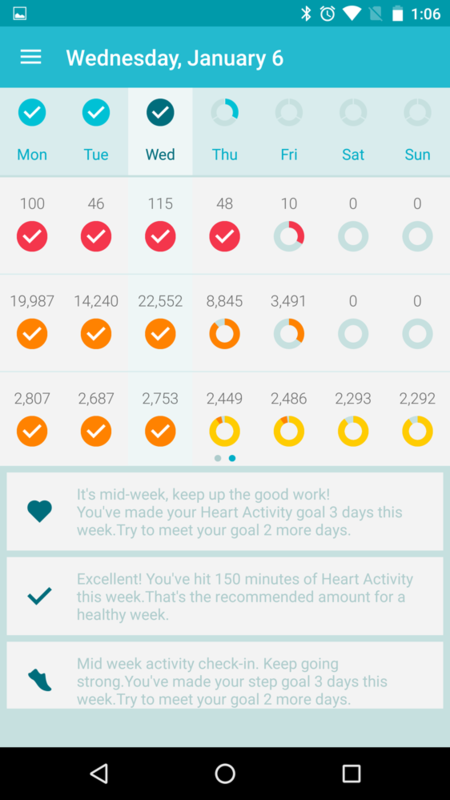 I don’t personally use any of those, but anyone who is testing out a Fitbit alongside a Moto 360 Sport, this is good for comparing notes. Given that Moto 360 Sport is one of the first Android Wear smartwatches to feature complete GPS integration, let’s talk about it briefly. First of all, it’s extremely accurate. 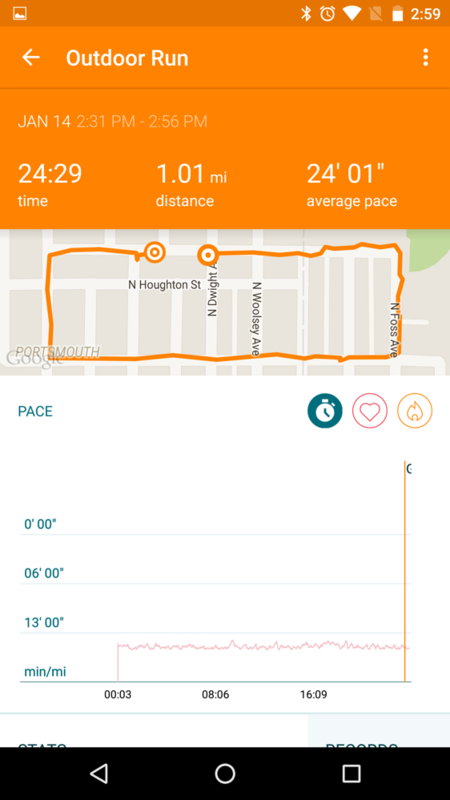 As seen in the screenshots below, this is a 1-mile dog walk that my canine companions and I recently completed, for example purposes only. As we started (top center dot headed east), you can see that we had to cross the street due to the presence of other dogs. As we rounded the corner, we went off into the field just a bit because we had to smell a few trees and bushes. Right near the end of 1 mile marker, we juked up the road just a bit, then headed back on the same course, which is well marked on the map. 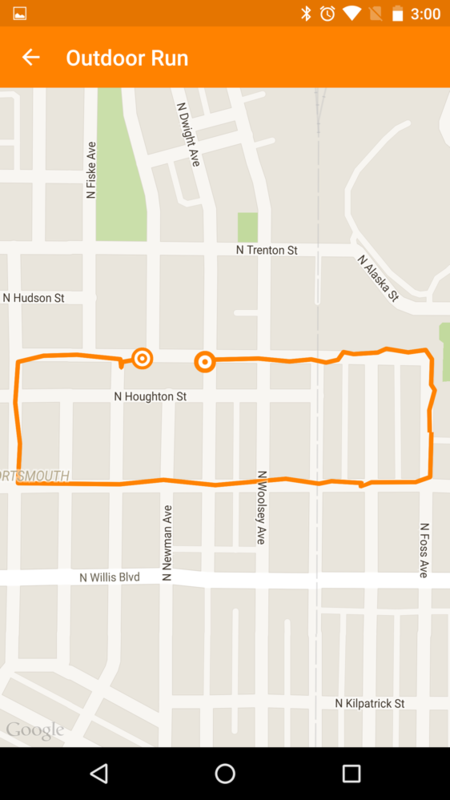 To note, this is all from the watch’s GPS data, as I had left my phone inside at home. 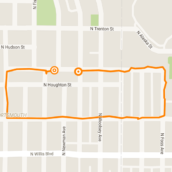 To my eyes, this is pretty much a perfect representation of exactly where we walked, so for those of you who need GPS data on your runs and dog walks, you can rely on the data provided from the watch and leave your smartphone at home. 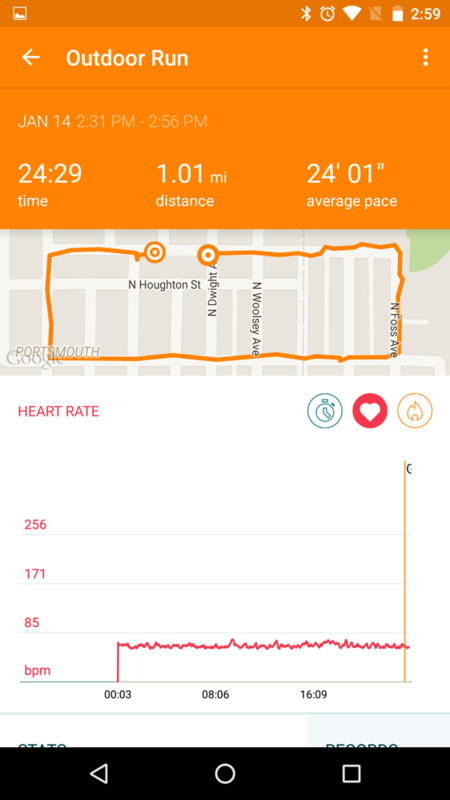 As for GPS usage and its affects on the battery life, the week before CES, I took the smartwatch on a few jogs around the neighborhood, totaling about 45 minutes to an hour of GPS usage on each run. 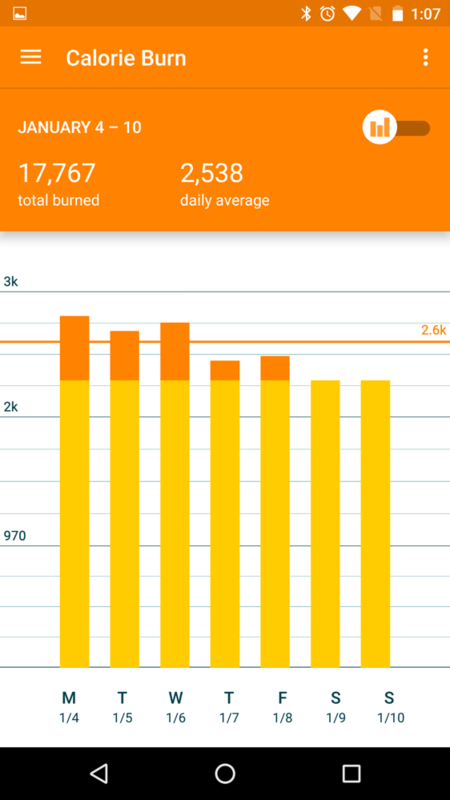 I had a fully-charged watch each time I left the house, and once I returned, I was at about 70-80% when I returned. 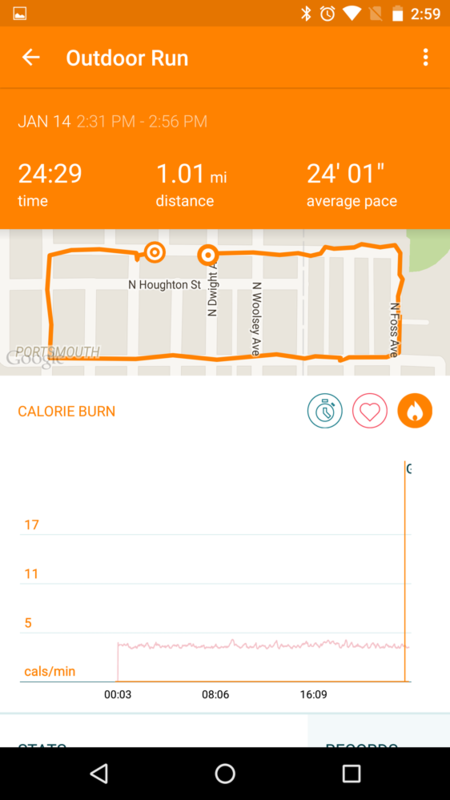 During these runs, I would have the display set to always-on, just so I could keep track of my distance traveled and burned calories more easily. By always-on, I don’t mean full color, but that the display doesn’t completely turn off, showing a monotone readout of my data instead. 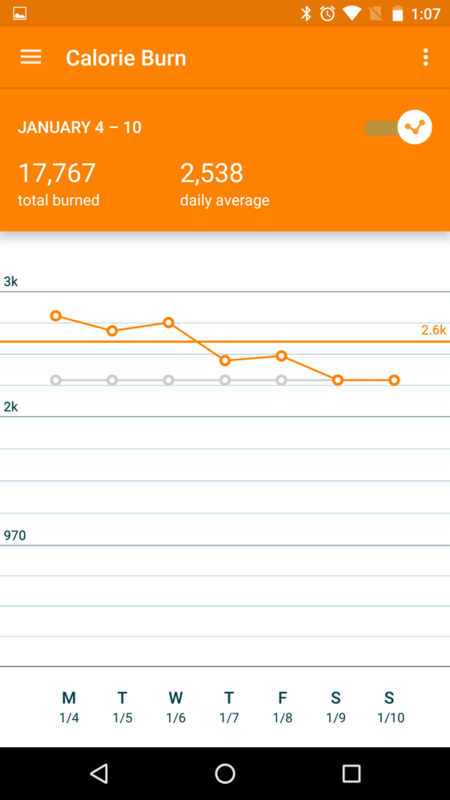 I’m sure if you would set the display to not save energy, you could burn through your battery much quicker. Along these lines, for example, if you are doing a marathon and need your watch tracking you with GPS for a couple of hours, you should not run into any problems in terms of battery life, as long as you have your display on the proper settings and brightness. Like any other Android Wear device, I was not blown away by the battery life, as I did see normal performance. My battery would get me through a typical day of normal to heavy usage, with charging done each night. 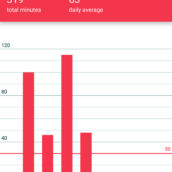 In the first week of usage, I was sometimes able to get through a day and a half, but if I didn’t want to have the watch on its charger in the middle of the day, I found that I needed to charge the watch nightly. If you are someone who is already used to this process it’s not a big deal. And it’s not like charging this device is difficult. Thanks to wireless charging, simply place the watch on the dock and off it goes; nothing crazy. One thing I will say, and this goes for all Android Wear watches, but considering how small of a battery they all have, you would think they could charge a bit quicker, right? Sure, a few hours isn’t terrible, but I would like to see Quick Charging incorporated somehow into these devices and chargers. If I could get a full day’s charge from 30 minutes of charging, using these watches would be much easier. Much like many of the other Android Wear devices from 2015, the Snapdragon 400 quad-core processor is holding up well, along with its 512MB of RAM. 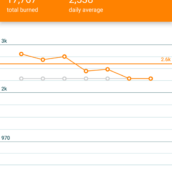 In addition, thanks to the work Google has done with the Android Wear OS, performance is smooth across the board. 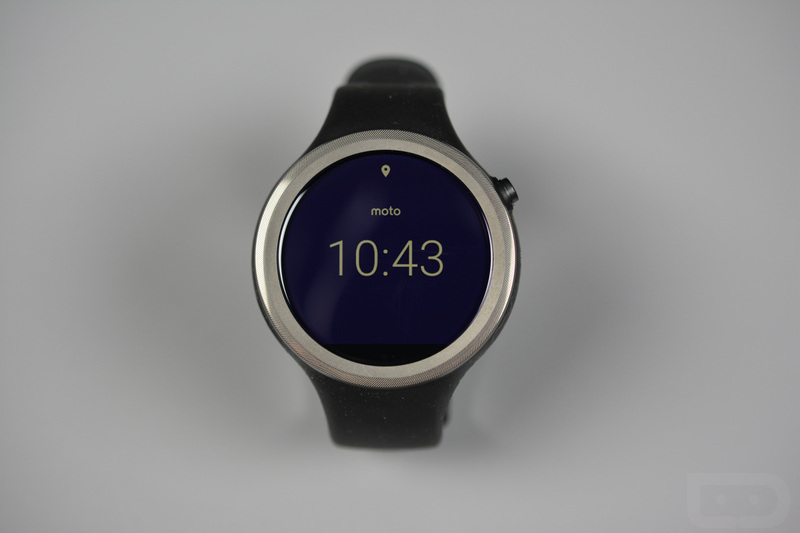 When compared to the performance I see on the Moto 360 (2nd Gen), I would say it’s nearly identical. Not much stalling between swipes, hiccups, or anything that I would attribute as “jank.” When going for runs, you don’t have to worry about it locking up or freezing for whatever reason. A+ in terms of performance. The Moto 360 Sport features a 1.73″ AnyLight Hybrid display (360 x 325 resolution), Snapdragon 400 quad-core processor, 512MB of RAM, 4GB of internal storage, 300mAh battery, dual digital mics, heart rate monitor, pedometer, GPS, Altimeter, WiFi and Bluetooth connectivity, as well as an IP67 water and dust resistance rating. On the downside, with Android Wear gaining support for audio feedback, this smartwatch, even though made for fitness, is not exactly future proof. One of those nifty features of smartwatches is the ability to take and place phone calls, and that feature will likely never be supported on a device that features no external speaker. As I said, this watch was not designed for all of that, but with a $299 price, don’t you think it should? I mean, if I have a smartwatch, regardless of what it’s geared for, the ability to take a call should just be there. This is no major deal if you don’t like the idea of talking to your watch, but this may both other potential buyers, or current owners who had hoped for this feature to be turned on via a future software update. Going back to the AnyLight Hybrid display, I love it. The display is very viewable in any lighting I found myself in, including direct indoor and outdoor lighting, and when compared to other devices, it gets exceptionally bright when you need it to. If running outdoors and in sunlight concerns you, don’t worry about it, you will be able to read this watch. The technology itself is two panels, one regular LCD that you will find in other smartwatches, in addition to a special front-lit reflective display. 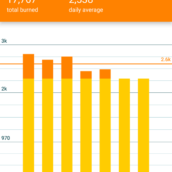 When combined, it allows you to view your watch stats in any type of lighting, and naturally, Motorola’s software and ambient light sensor will help determine the best lighting for your smartwatch. This is the first Android Wear device to feature an AnyLight Hybrid display, and if you ask me, I wouldn’t mind seeing this on more smartwatches in the future. 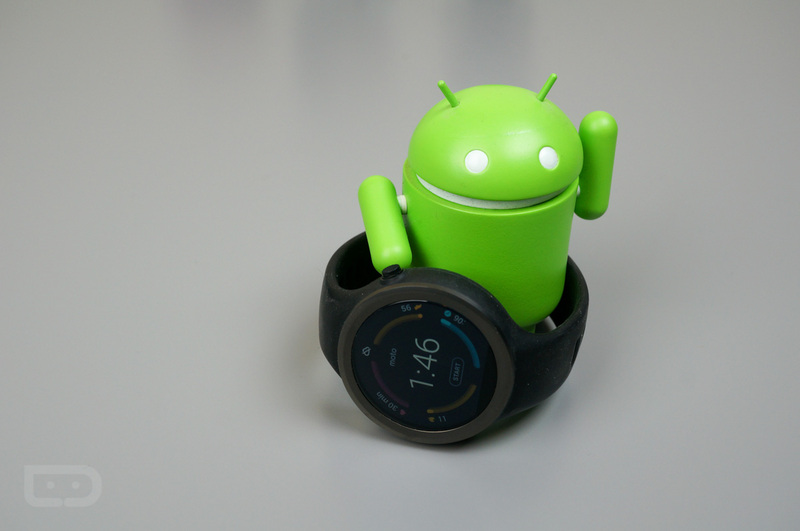 Beyond the extra fitness goodies Motorola built in, this is your standard Android Wear OS, nothing special. The watch has the ability to display incoming notifications when synced with your smartphone, and can also take voice commands for sending texts, getting directions, and beginning a phone call that can be completed on your smartphone. 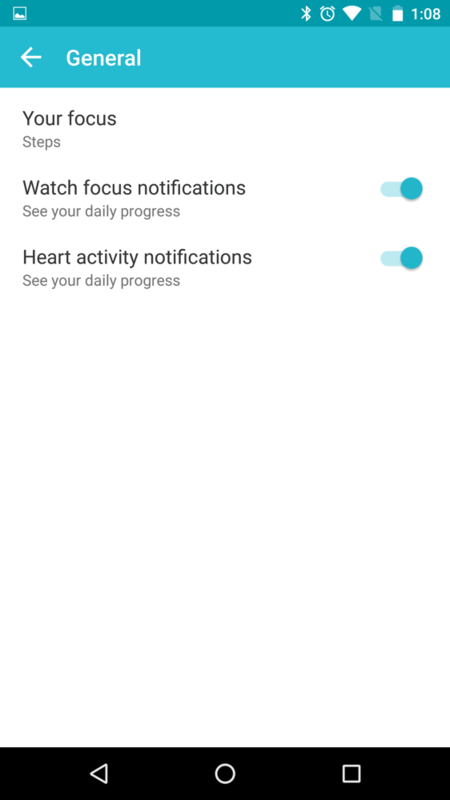 The Android Wear OS has come a long ways, even in its short existence, but I still think it lacks that one truly unique feature that would allow me to embrace it over my smartphone. I can still pick up my phone and do everything I need to do with it. If I am in a setting where looking at my phone is rude, then you better believe that looking at my watch could be considered just as rude. And please, it’s not like I’m dining with the Queen of England anytime soon. If someone gets offended I’m looking at my phone too much, I’ll tell them to bugger off. I need my Twitter and Instagram. Don’t get me wrong, I think smartwatches are cool, and they certainly make more sense in the fitness industry than they do in the telecommunication industry at this point, it’s just that I am still waiting for Android Wear to blow me away. Maybe it isn’t supposed to. 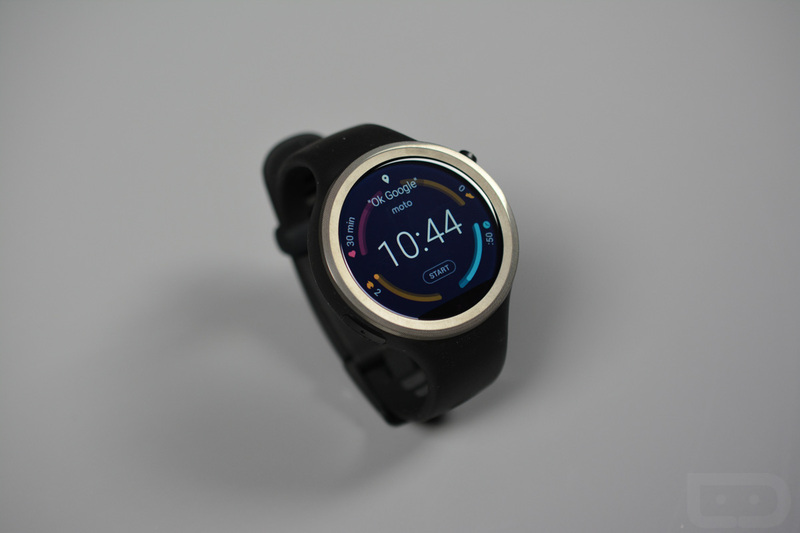 At this time, the Moto 360 Sport is available directly from Motorola, Verizon, and on the Google Store. Priced at $299, folks can opt for the Black, White, or Flame model. Now, is this watch worth $300? For those who intend on using this device for strictly fitness, it’s entirely possible that you can do better for that price. Although, for $299, you are getting the benefit of a complete smartwatch, one that is capable of reading your heart rate and tracking steps, as well as notifying you of email and phone calls. 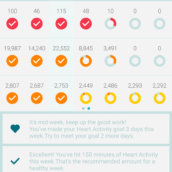 Look at any other fitness trackers and you will be pressed to find one that does fitness just as well as it does at being smart. 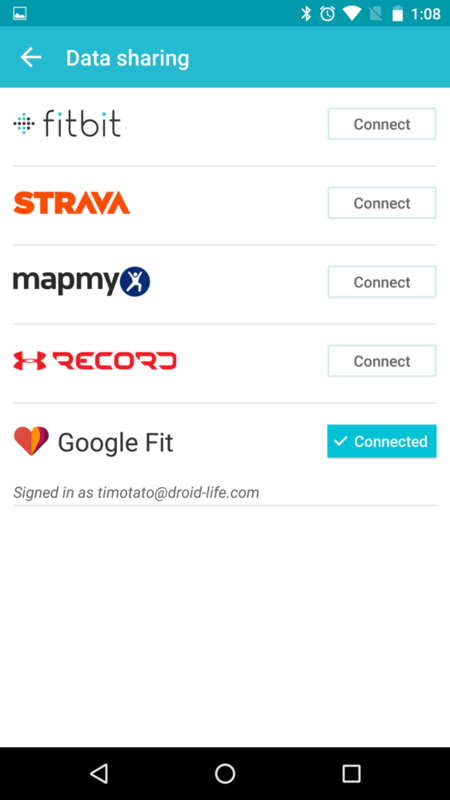 Yes, tracking brands such as Garmin and TomTom have a great history of helping you during workouts, but neither offer an Android Wear smartwatch at this time. 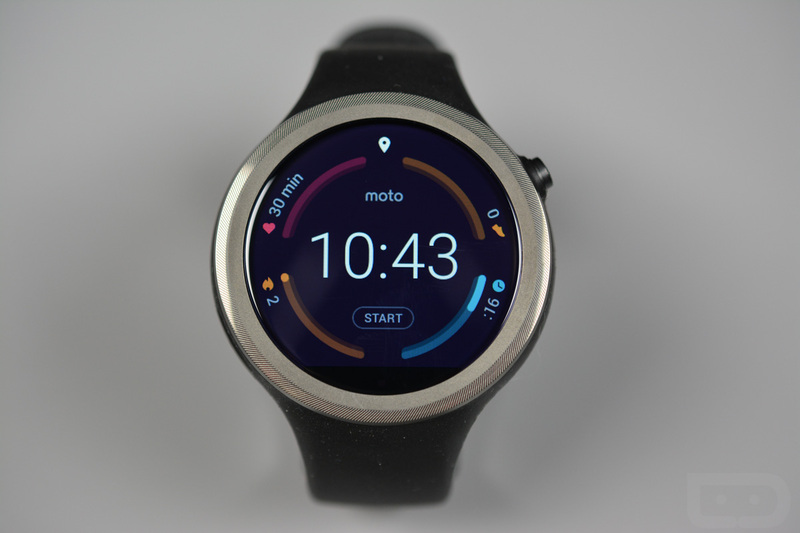 Now, would I mind to see the Moto 360 Sport at about $249, instead of $299? Absolutely not. 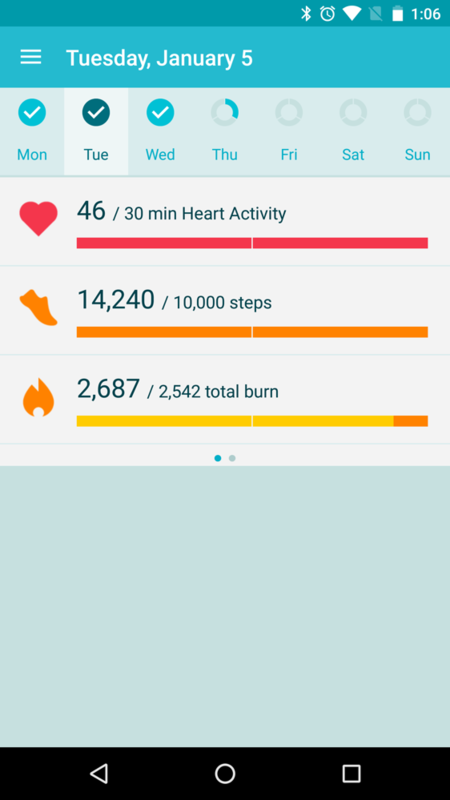 In fact, I think that would bring in a larger crowd of fitness-minded folks who might buy into the Android Wear platform, going beyond just wanting a pedometer and calorie counter. 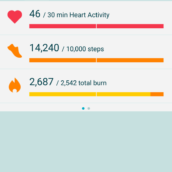 If everyone who owned a Fitbit bought into Android Wear, and saw that it can provide data from your daily activities, in addition to providing notifications and hands-free controls, the wearable platform could really take off as a whole. While many Android Wear smartwatches are still priced high, folks looking for Christmas and birthday gifts will opt for the $99-$149 fitness options. 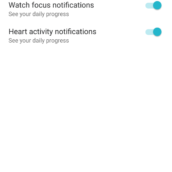 For those of you who are looking purely for a workout companion, and don’t need notifications going off while you work out, there are countless options on the market. 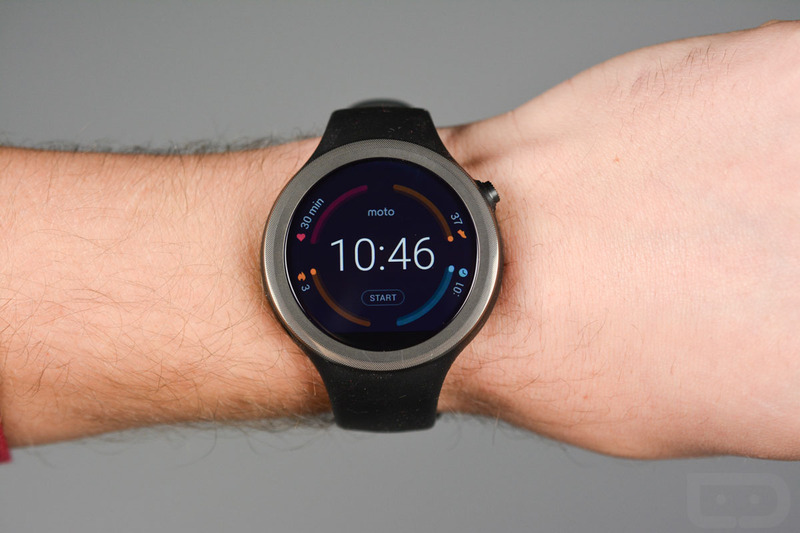 The Moto 360 Sport, however, is a fantastic blend of fitness tracking and social connectivity. The Moto 360 Sport offers the best take on what a fitness-friendly Android Wear smartwatch should be, however, it misses in just a few places. First, the price seems pretty darn high. If Motorola had priced this device at $199 or $249, I could see people flocking to this over the competition (any Fitbit model, Garmin Vivofit, Jawbone fitness tracker, etc. ), but that’s not the case. Undoubtedly, I bet we could see a price drop in the coming months to maybe half a year into 2016, and you’ll be able to snag this thing for a much more affordable price. 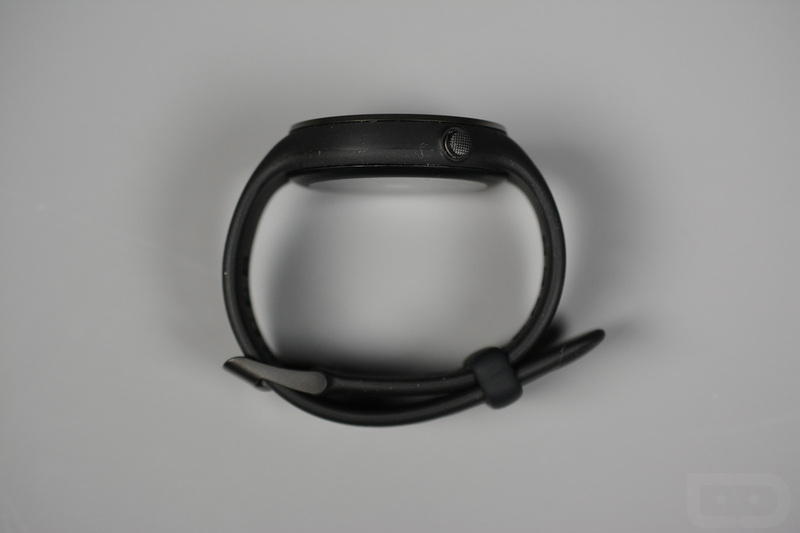 At $199, this device would be an insta-buy, with the fitness tracking, Android Wear, and compatibility with iOS. 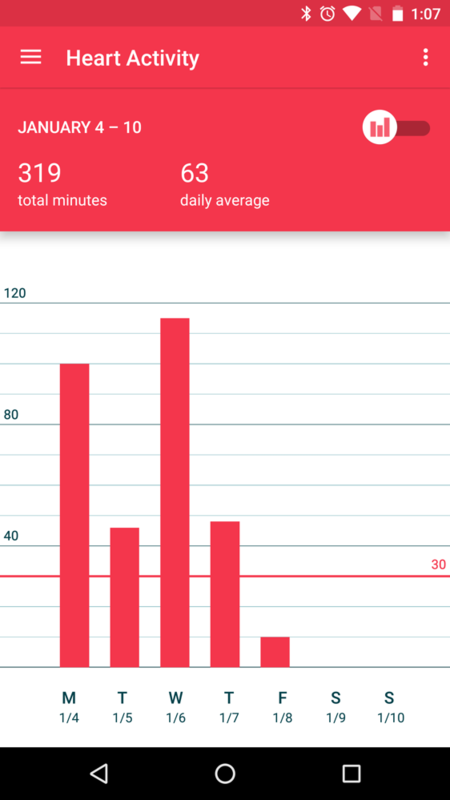 On the bright side, there are quite a few positives with the device as it is today: It can track your fitness data (which is the “in” thing right now), get all of the same benefits from Android Wear as any other smartwatch on the market, and runs on any smartphone that supports Android Wear, including iOS. If you take your fitness semi-seriously, want Android Wear, and don’t mind non-changeable silicone bands, the Moto 360 Sport should treat you just fine.